Product prices and availability are accurate as of 2019-04-19 07:23:47 EDT and are subject to change. Any price and availability information displayed on http://www.amazon.com/ at the time of purchase will apply to the purchase of this product. 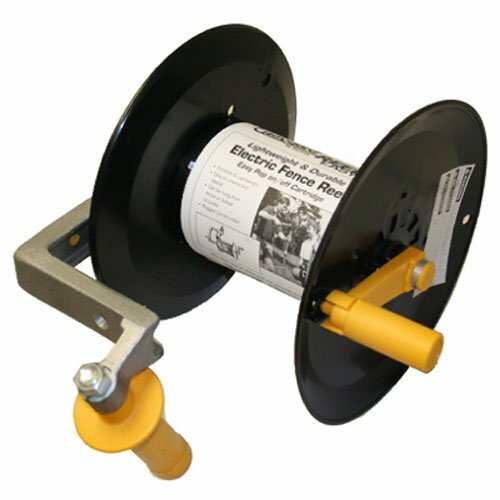 Reel easy wire handle/reel winder, for use installing electric fence wire, easy to wind & unwind, can be hung from fence or Bolted to post, rugged construction made of metal & plastic with yellow handles.